No matter what music genre gets your toes tapping, a Classic Pop magazine subscription is a must if you grew up loving the sounds of the 70s and 80s. 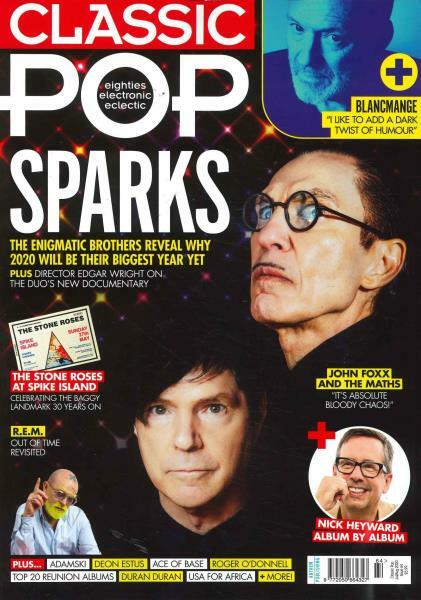 Buy a single copy or subscription to Classic Pop magazine. An editorial mix of indie pop, synth-pop, New Romantic and ska, each issue features interviews with the eras’ best artists, current news and tour dates. Providing the exclusive stories behind your favourite acts’ concerts, rumours that circulated in the day and what the real causes were behind the biggest break-ups, Classic Pop magazine has it all. Articles also examine the labels behind the artists and the albums that changed the face of pop. Desperate to keep the sounds of the 70s and 80s alive? Classic Pop is your go-to guide to find modern artists that are inspired by the classics – whether they feature familiar beats, lyrics or looks. So don’t delay – subscribe to Classic Pop magazine today! Classic Pop have launched the collector's edition - Classic Pop Presents Magazine.